Occupational Therapy New Zealand Whakaora Ngangahau Aotearoa - » February OT Insight out now! February OT Insight out now! Please enjoy the February edition of OT Insight. 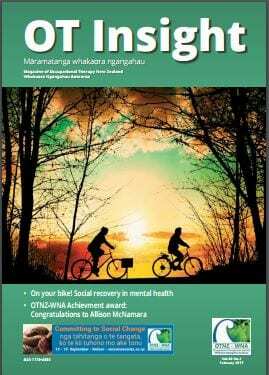 This edition looks at social recovery in mental health through biking and our 2016 OTNZ-WNA Achievement award winner!